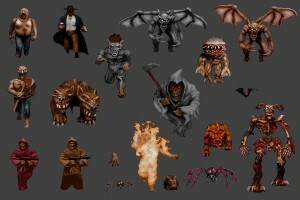 20 new monsters for Invasion. 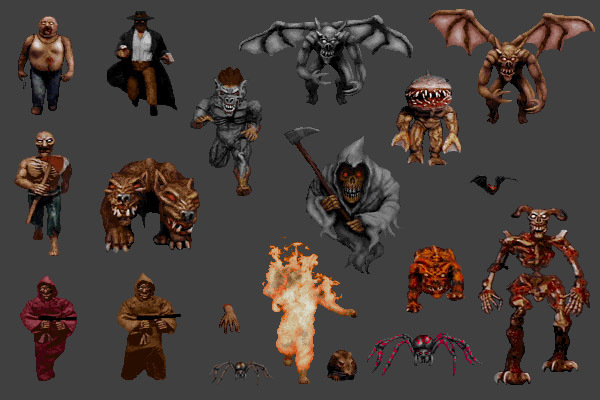 Axe Zombie, Bat, Butcher, Caleb, Cerberus, Cheogh, Cultist, Flame Guy, Gargoyle, GillBeast, Hand, HellHound, Phantasm, Rat, Red Cultist, Shial, Spider, Stone Gargoyle, Tchernobog and the WereBeast! Please read the readme for the monster lines and help setting up the .ini file.